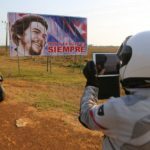 Chosen as one of the world’s hottest ‘new’ destinations by Lonely Planet, the New York Times and Bloomberg News (among others), Cuba is enjoying a long-delayed status as destination du jour since the re-establishment of diplomatic relations with the United States in 2015. 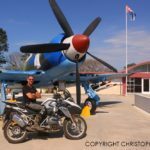 Combine that with the rapidly growing popularity of motorcycle touring and you have a recipe for a fantastic two-wheel adventure. 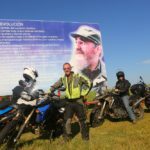 That’s why Edelweiss Bike Travel, the world’s leading motorcycle touring company, has launched 8- and 11-day tours of Cuba for U.S. motorcycle riders in partnership with acclaimed moto-journalist and Cuba expert Christopher P. Baker. 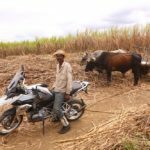 Hailed by National Geographic as “one of the world’s leading experts on Cuba travel and culture,” Baker has twenty years’ experience motorcycling in Cuba and will guide a number of departures especially for U.S. motorcycle riders. He has honed the Austrian company’s Cuba itineraries to the requirements for legal U.S. travel under the ‘People-to-People’ license category. Any U.S. citizen can participate. -Because finally you can… but will you still be able to tomorrow? 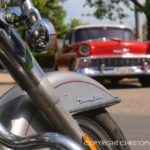 -All those incredible classic cars! Contact us today for your bucket-list travel to Cuba!